Here's part 2 of Unique LA Wrap up! We started setting up our stuff Friday, and since we mocked up our booth in the workshop we were able to set it up in 2 hours! Our booth concept was simple, we wanted something that reflected our products: beauty in material. The material we chose complimented our products in a warm welcome way. Our new pack received a lot of praise and will be in our store very soon! At Unique LA we were able to release some new products and get a feel for what the customer responds to. 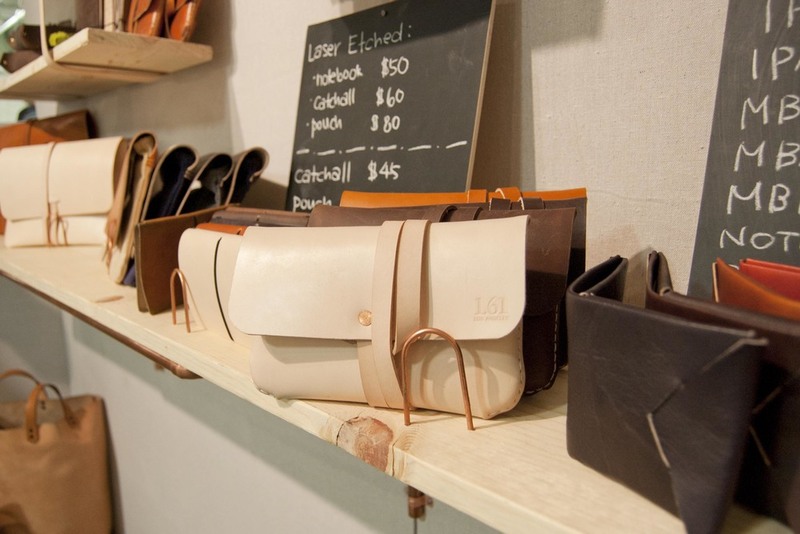 We decided to display our new leather shelf with our new collaboration of laser-engraved products. Unique LA was a ton of fun! The interactions we had with customers as well as other vendors was well worth the preparation. We received extremely useful feedback and are planning to do more shows in the future. We would like to personally thank everyone who came out and supported 1.61 as well as Unique LA. *Special thanks to Whitney Lum for the pictures. Last Saturday, we had a vender meeting for Unique LA Spring Show. Unique LA is a 2 day event celebrating all thing American made. We are so honored to be part of the event as a local maker from Downtown Los Angeles! Beautiful Downtown LA Arts District. We have done pop-up shop events before, but this will be our biggest. Naturally we are excited and overwhelmed at the same time! As we were leaving the meeting we picked up our marketing material to pass out. 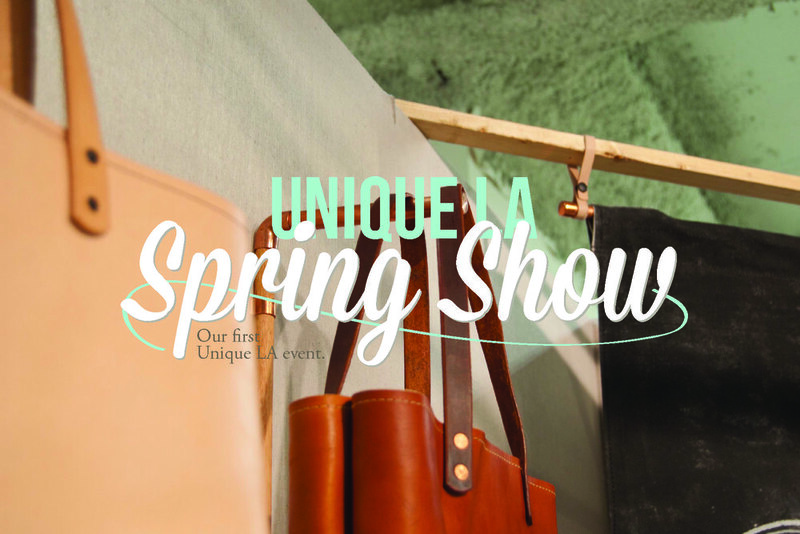 To our surprise we are featured on the postcard/flyer of the Unique LA Spring Show along with 8 other great brands. We are so flattered, but now we know our bar has been raised! Mark your calender and hope to see you there! Scout mob is a online service that celebrates local communities. They discover local business and makers, and support the neighborhoods' culture through their app and website. For the past month, we've been working with the folks from Scout Mob for the shoppe feature. We took some photographs around the workshop to share some of our process, and also wrote up the concepts and thoughts behind our brand. And today, Scout Mob Shoppe x 1.61 Soft Goods is live! They've done a fantastic job showing who we are as Los Angeles' local maker. We are very happy and excited about this little web storefront :) Thank you Scout Mob! Can't wait to send these awesome stickers and thank you cards with our products! Check out the Shoppe, get yourself some local goodness and deals!